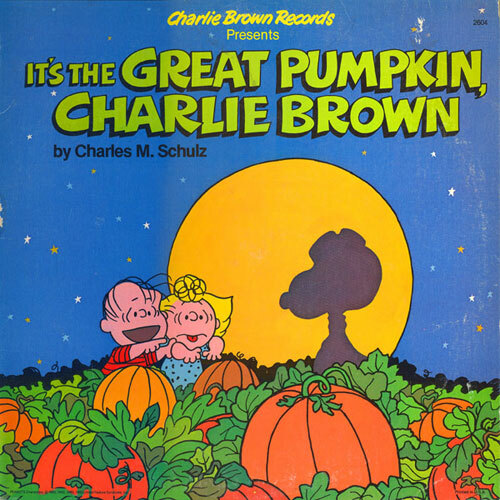 It's the Great Pumpkin, Charlie Brown debuted on October 27, 1966, as the third Peanuts television special (the first obviously being the Christmas one). It is here that most of the world who wasn't reading the comic strips was introduced to Linus Van Pelt's fascination with "the Great Pumpkin". Charles Schulz thought it would be funny to see what happens if a child confused Halloween with Christmas… and the rest was history. This year, the show is celebrating its 46th anniversary. While most are familiar with the TV version of this story, many might not know that an audio-only adaptation of the show was created on record in 1978. This shortened-for-LP version contains all the same voice talent and sound effects, but scripted as an exclusive listening experience. The original record has long been out-of-print and surprisingly has never been released on CD.